More and more, doctors and other healthcare professionals find themselves baffled at the relative ineffectiveness of traditional medical treatments and the continued rise of western diseases such as cancer, diabetes and heart disease. For some, this means seeking answers from other directions, namely – within our diet. Count cardiologist Dr. Robert Ostfeld as one of this small, but growing, contingent. Dr. Ostfeld’s story and work has many layers, one of these being that his work of bringing the whole foods, plant based diet to his heart patients happens to take place within a vast, urban food desert – the Bronx, NY. 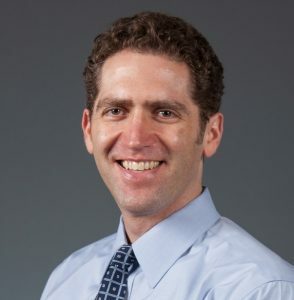 His remarkable work at the Montefiore Medical Center expands past his individual work with patients, who he helps to reverse heart disease through a plant based diet, as he seeks to improve medical education empowering emerging healthcare professionals to learn and address the root causes of heart disease. Each Saturday, he also hosts a free and open, whole foods, plant based meal at the hospital for those suffering from heart disease and for those simply interested in learning more about the diet and its vast potential to promote health and healing. Dr. Ostfeld credits the great Dr. Caldwell Esselstyn (of the Cleveland Clinic) as his inspiration, having visited “Essie” in Cleveland to discuss the diet and its potential to reverse heart disease after he viewed the inspiring documentary film, “Forks Over Knives”. Since then, Dr. Ostfeld has joined Dr. Esselstyn, Dr. Dean Ornish, Dr. Pam Popper (OS Podcast #6), Dr. Neal Barnard, Dr. Michael Greger and Dr. T. Colin Campbell as a true leader in the field of diet and disease. By the day, it gets clearer and clearer, that our western patterns of chronic disease are rooted in our toxic relationship with food. The solution though is amazingly clear and simple: a plant-based diet comprised primarily of whole foods. 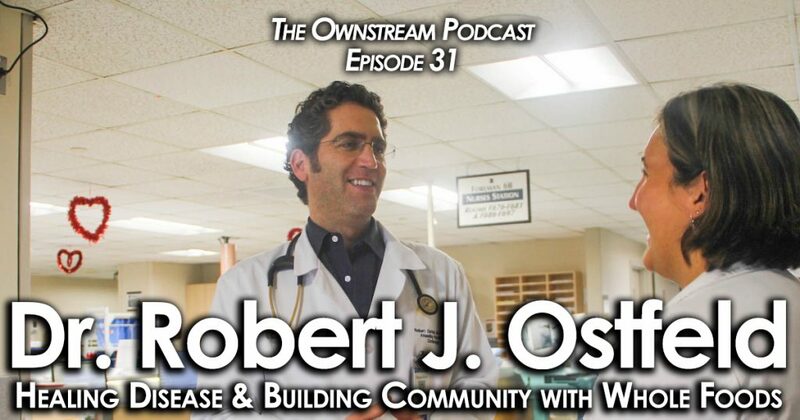 For Dr. Ostfeld, a man truly at the front lines of the battle against chronic disease in the west, his approach is to empower patients with information, food plans, individual coaching and support, and a growing community of healthy, active believers. This podcast episode celebrates his tremendous work in this field, while also spreading the life-affirming message that disease need not be your destiny. In fact, a vibrant life of excitement, love, joy and delicious plant-based food can await. It’s a simple decision. What will yours be?